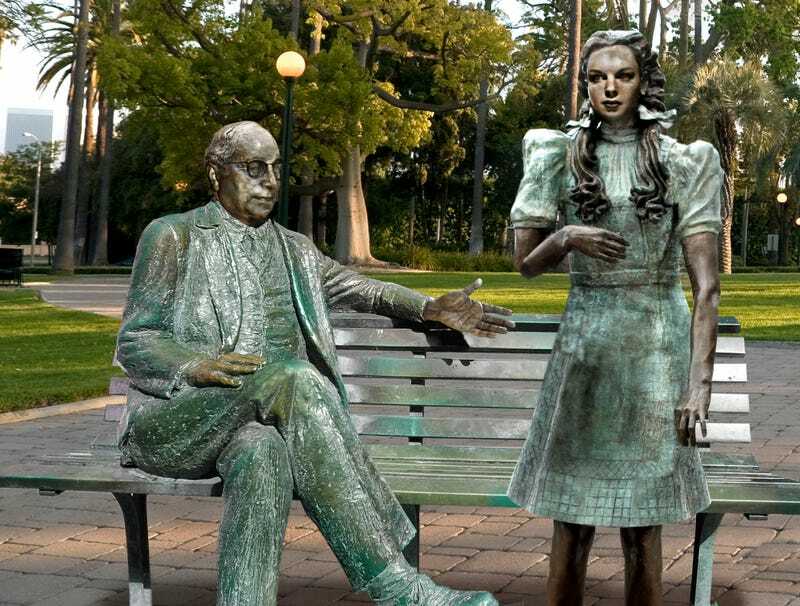 LOS ANGELES—In response to recent sexual misconduct allegations against prominent figures in the industry, Hollywood officials reportedly ordered Thursday the removal of a controversial statue depicting Louis B. Mayer beckoning the actress Judy Garland to sit on his lap. “Hollywood is proud of its history, but unfortunately, this statue no longer coincides with the principles that we as an industry would like to represent,” said Hollywood Chamber of Commerce chair Arnold Slavens, adding that the statue featuring the famed film producer and MGM studio executive lasciviously gesturing to the young, concerned-looking starlet to sit on his open knee would be taken down later this afternoon. “Like the famous Hollywood sign or the stars on the Walk of Fame, this statue was a proud, popular symbol for the film industry. For a long time, when people thought of Hollywood, they immediately thought of a powerful male figure sexually preying on the vulnerable. We think times have changed.” Slavens added that the committee was already planning on replacing the statue with an equally impressive monument celebrating Hollywood’s strong tradition of forcing aging actresses out of the industry.